The Penna bit string model is used as a framework for the genetic diversity investigations of continuous (every time step) and periodic mutation implementations of a semelparous population. We quantify genetic diversity using a Shannon-type measure. The absence of deaths due to mutation accumulation removes selection and results to the entire population reaching the same genome. We find that periodic mutation in this case allows the population to reach homogeneity at a much later time compared to the case of continuous mutations. Our results indicate that periodic mutation with selection has a higher genetic diversity compared to that of continuous mutation. J. R. Guinid and R. Banzon. 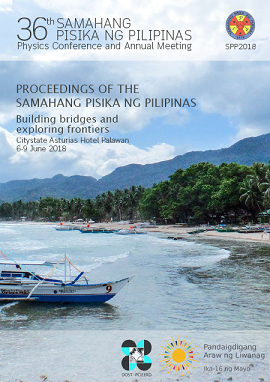 Mutation rate and genetic diversity in a Penna Model, Proceedings of the Samahang Pisika ng Pilipinas 36, SPP-2018-PC-13 (2018). URL: https://paperview.spp-online.org/proceedings/article/view/SPP-2018-PC-13.